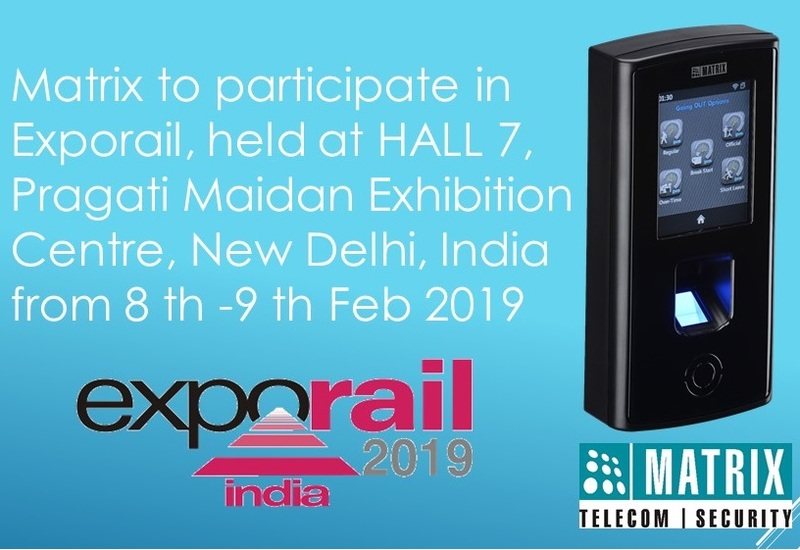 Matrix, a leading manufacturer and pioneer in Telecom and Security solutions, is participating at Exporail, held at Pragati Maidan Exhibition Centre, New Delhi, India from 8th-9th Feb 2019. Matrix, a leading manufacturer and pioneer in Telecom and Security solutions, is participating at Exporail, held at Pragati Maidan Exhibition Centre, New Delhi, India from 8th-9th Feb 2019. We will be exhibiting our other Video Surveillance, People Mobility Management and Telecom Solutions at the event. This is the perfect web site foor anyone who wishes tto understand this topic. You understand a whoe lot its almost tough to argue with you (not that I personally will eed to…HaHa).